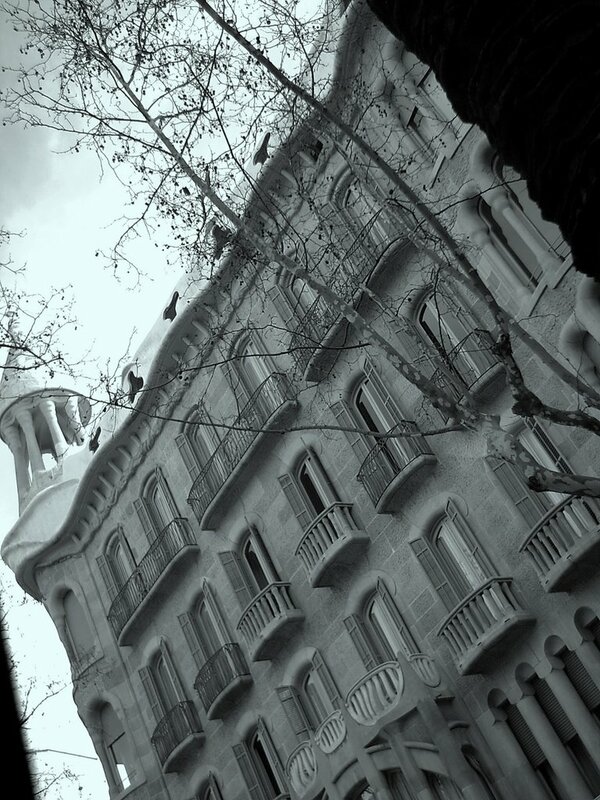 This is one of the many buildings that represent Catalan modernisme along Diagonal Ave. The picture was taken from the bus. I again used the angle looking for perspective. The shot was made directly in black and white. Diagonal is one of the main streets of Barcelona cutting the metropolitan area into two, the Zona Alta and the lower portion of the city. Carlos, does the bus still hit the signs at the lamppost? b/w is the best! The mood is unexplainable ..nice !! That perspective does give life to the building's facade! In addition, I think that the B&W adds stateliness. I like it (both the photo and technique)! Brian. I like that style for a big house a lot! Very nice! Hola Carlos! gracias for linking me:-)Nice building! the windows look so narrow! Thanks to you all, today I was not able to answer but I will tomorrow. >zbjernak: thanks, it is very flattering. By the way that blog you have (1PIC4ALL) with the butterflies is really amazing. >midnitebara: Thank you, thank you. I say it twice cause you were the one to comment first just after I published, but I had to fix something in the post and on republishing your comment was lost. And you kindly came back and commented again. That has no price. >dutchie: I guess you refer to tourist buses which are higher. Maybe those still hit the signs. I hope not with the tourist heads. But that was a funny observation. There are things that you people see and we overlook due to monotony. >Fotoaddict, Thanks for giving me your wise opinion. Have top pay you all a visit tonite. >BrianG: I like your interest in photography and the right words you use. Thanks. >Nicola: Ha, we could not afford it but yes a big house like this would great. Thxs. >Marjorie: Well hi Marjorie. Estoy contento de tenerte por aquí. Merci. De rien. >chris.h. Hello mate. Thanks for dropping by. Kind of a geometry lesson I have here. Ha,ha. Intersting Angle. Also considering you'd taken it from a bus. I bet it must have been difficult unless the bus was on a hault?